The KosovoThanksYou team with the help of the flag designer M. Ibrahimi has acquired the correct values for the colors of the Flag and Coat of Arms of Republic of Kosovo. This information is currently only available on the KosovoThanksYou.com site. 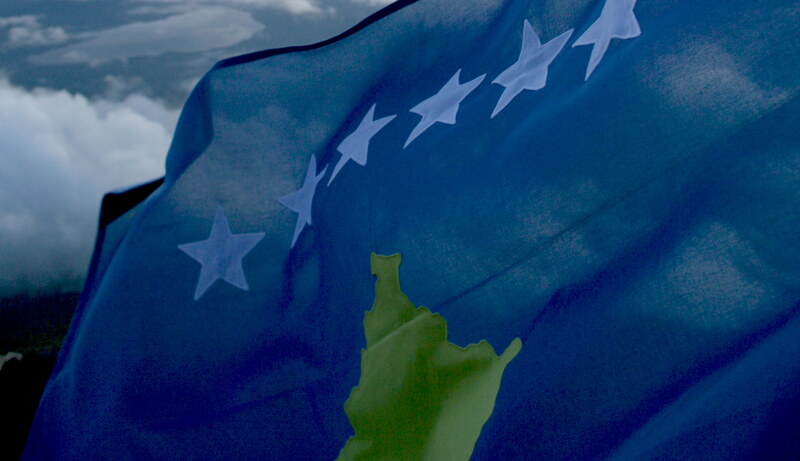 In the past few months there has been some confusion about the exact colors of the Kosovar flag. Confusion stems from conversion between CMYK and RGB color formats, which was not done properly. The colors on the Government Website are in CMYK format that have been converted to RGB without corrections. This makes the Kosova outline look darker on the screen. The correct RGB version of the flag as well as the color values are listed below. At this point, this specification remains the only Kosovo Flag color standard publicly available.